If you want a car loan that allows you to pay the same amount every month for a fixed number of months until the loan is paid off, you want a simple interest car loan. 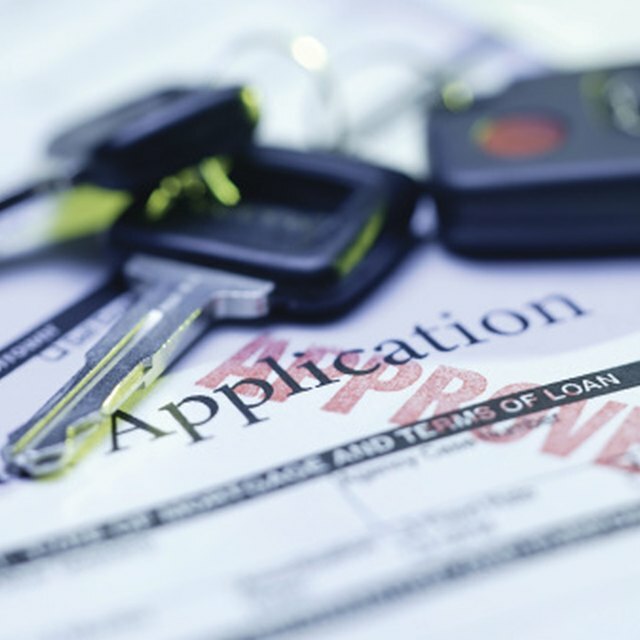 Simple interest loans are the most common type of auto loan. The loan gets its name from the way interest is calculated: Simple interest is calculated based on the amount you owe on the loan principal, excluding interest. With compounded interest, you pay simple interest and you pay interest on the interest you owe. With a simple interest car loan, you pay back the loan each month in equal installments. Part of your payment is for the interest on the outstanding balance of the loan, and part of the your payment is for the loan itself -- the principal. The monthly payment is calculated so your loan is paid off after a certain number of payments. As you make monthly payments, the amount of interest you pay decreases, and more of your monthly payment goes toward paying off the principal. On a $20,000 loan at 6 percent interest per year, the interest due for your first monthly payment is $20,000 times 6 percent per year divided by 12 months, or $100. If your monthly payment is $386.66, then $286.66 of your payment goes toward the loan balance, which becomes $20,000 minus $286.66, or $19,713.34; the remaining $100 is your interest payment. The next month, you pay interest on $19,713.34, which is $98.57, and $288.09 of your payment goes toward the loan. After five years, you've paid $20,000 plus $3,199.36 in interest, and the loan balance is zero. When you take out a simple interest car loan, you're provided with a monthly payment amount and an amortization schedule that shows how much of the loan goes toward interest and how much goes toward principal. With this kind of loan, your monthly payment does not change. If you miss a payment, the interest you owe the next month does not increase because you owe more on the loan. However, your lender will likely charge a late payment fee. You should carefully review the terms of a simple interest car loan to determine if the loan includes a prepayment penalty. Thirty-six states and the District of Columbia permit lenders to charge a fee if you decide to pay off your loan early. This fee can effectively make your simple interest car loan a guarantee that you'll pay the full amount of interest according to the loan schedule, even if you pay off the balance of the loan before it's due.